A few weeks ago I had this discussion about the need for portable music players nowadays, when smartphones are often the only music source for most people. That smartphones offer easy and practical access to content is out of the question; that they do it with the best quality is not. That’s why a rising number of companies are creating portable (I’d say mobile) DACs one can tie up to smartphones, tablets and notebooks. 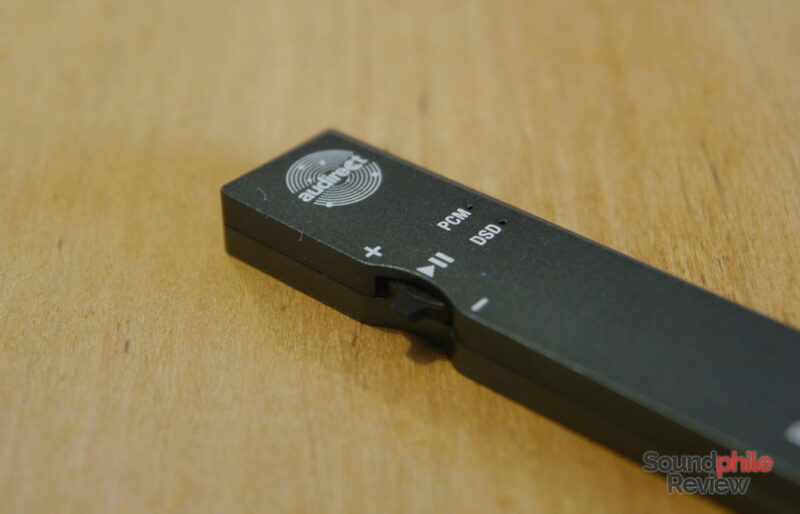 The Audirect Beam is one such product, carrying good DAC and amplifier chips in a sleek package that’s barely bigger than a thumb. Disclaimer: thank you to Lillian at Linsoul Audio for sending this sample to me. They sell the Audirect Beam on AliExpress at $99. The Audirect Beam comes in a cardboard box with a small window that makes you see the device from outside; inside the box are the Beam itself, three different cables with USB Type-C on one side and Lightning, micro-USB or USB Type-C on the other. They’re short (~10 cm), but long enough to ensure a smooth user experience with smartphones and other portable devices. At first I thought that it looked quite large when looking at pictures online, but when I finally had a chance to hold it in my hand I realised the Audirect Beam is quite small – it is in fact smaller than my pinky, at just 56 x 14 x 6 mm. The most impressive thing is thinness, as the Beam is barely thicker than the 3.5 mm jack port. It is so small it could probably fit in my wallet, and at ~9 g it is light enough not to notice it would be there! The Audirect Beam is entirely made of aluminium; it uses two pieces held together by four screws on the back. The metal gives it strength, durability and a certain premium feeling, but it is not flawless in terms of finish as it has a few small imperfections in the cast. Those are very minor flaws, but I think they should not be there at this price point – you can see them as those small white dots in the picture below. On the front there are two LEDs that indicate whether playback happens in PCM or DSD format. Right beside those is a stick to raise or reduce the volume; it can also be clicked to play or pause the music. On the top side is a USB Type-C port. 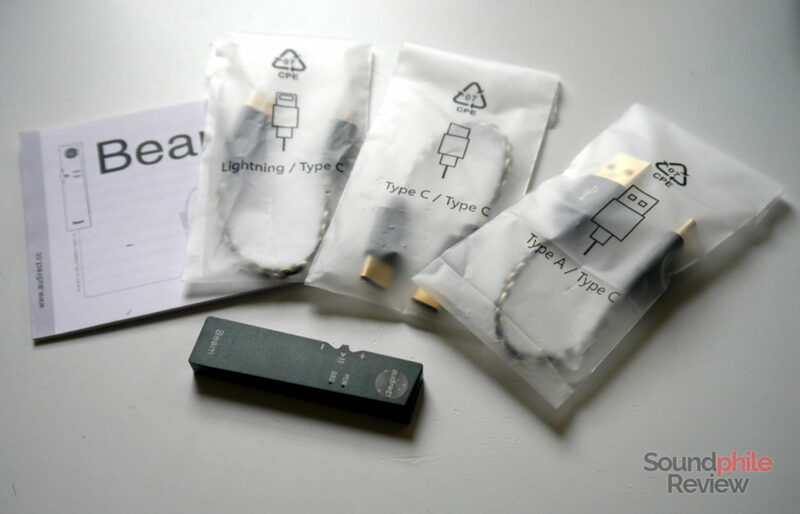 I like this choice as it makes the device basically future-proof – USB Type-C is going to be the dominating standard in the years to come, with alternatives such as micro-USB and Lightning becoming obsolete soon. Contrary to the Venture Electronics Odyssey, the Audirect Beam has a female port that allows one to use any cable they like to connect it to the source. That’s why the box holds three different cables, so that one can connect the Beam to almost any device. The only exception is micro-USB, which is not among stock cables: older smartphones and tablets are therefore left out. The Audirect Beam supports all major computer operating systems (Windows, macOS and Linux), with Windows being the only OS that needs installing drivers. macOS and Linux support the device out of the box with no user intervention required – it’s truly “plug and play”. Windows, though, is the only platform that supports DSD playback (and that is the main reason because drivers are needed). Android and iOS are supported, too; while I can’t test the latter, the former works quite well (if the source device supports USB audio out). Volume is not controlled independently of the source; on the contrary, the volume stick only sends a signal to the attached device (e.g. a PC) to lower the volume. This is not as useful as having separate volume control, especially when one connects the Audirect Beam to a smartphone: Android phones often do not allow for fine adjustment of volume, therefore having a finer mean of adjustment can be helpful in finding the right volume. Audirect opted for an ES9118 Sabre DAC that also embeds an amplifier chip. Amazingly, it allows DSD playback (both as DSD-over-PCM, or DoP, and as native DSD) despite the extremely small size of the Beam. The Audirect Beam is strictly for portable use scenarios that only include lower impedance headphones. That’s apparent if we look at the power output: with just 49 mW on 32 Ω load, it’s apparent that the Beam cannot power power-hungry or high-impedance headphones effectively. That’s why using planar headphones or studio headphones is not recommended. Headphones up to 150 Ω can be powered with good results, but there may be issues with the frequency response going up with impedance due to the lack of power. The low output impedance, which the company rates at less than 1 Ω, makes practically all headphones on the market perfectly compatible with the Audirect Beam. Even super-low impedance IEMs should not have any issues. Alas the Audirect Beam can’t filter out electrical noise coming from USB, so if you happen to have dirty USB power you will be stuck with background hiss. That’s unless you use an attenuator such as the iFi Ear Buddy or iFi IEMatch, or a USB filter (though I have never tried one of those, so I can’t vouch for their effectiveness). I tested the Audirect Beam with many different headphones to test how it would drive different types of headphones. So I used a Massdrop x AKG K7XX, a HiFiMAN HE-560, a Massdrop x Sennheiser HD 6XX, a Venture Electronics Zen 2.0, a KZ ZSN, a Tenhz P4 Pro and a BGVP DM6. The Audirect Beam aims at neutrality and transparency, and it achieves both masterfully. Under no condition there is a sign of colouration and deviation from a very linear response; on the contrary, the output signal is extremely adherent to the source material. If I have to say I hear any difference from other sources (case in point, Topping DX7), it seems to me there is something going on in the treble area. Specifically, it seems like treble is airier and slightly more separated from the rest, coming out as slightly more forward. The difference is incredibly tiny, up to the point I am not even entirely sure it is there. I usually do not hear any differences between solid-state sources, so this is rather surprising to me, but I thought I heard it multiple times so I thought it would be right to report it. In terms of technical ability, the Audirect Beam sounds to me as a very capable product that has nothing to envy in larger products, including even desktop devices (as long as limitations in headphones it can power is not taken into consideration, of course). Soundstage, imaging and instrument separation are all left intact, so you are presented with the headphones’ true selves – so to speak. You are hearing the headphones, not the source. As I already mentioned, background is not black if you use low impedance (< 32 Ω) headphones with high sensitivity. All the IEMs I tried exposed intense hissing, while the other headphones did not show any sign of background noise. Small, nicely designed, incredibly portable, with enough power to drive most portable headphones and a neutral signature. The Audirect Beam is a fantastic device whose only limit is the relatively low power that does not allow for hard-to-drive headphones to sound correctly. 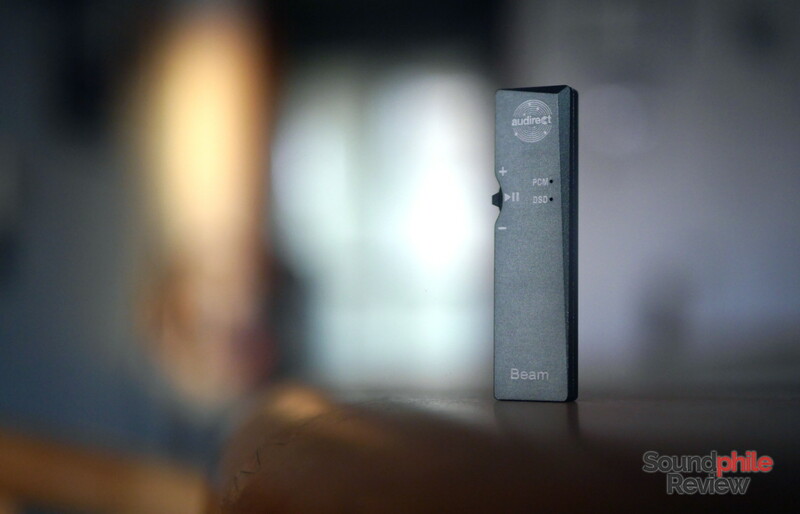 With its neutral signature and highly portable form factor, however, the Audirect Beam is a nifty little tool that enables better quality audio while on the move and with lots of different platforms. It’s a device that is easily enjoyable and does not have any significant flaw. And that’s more than enough to recommend it. very promising DAC. however i’ve had android phone connectivity issues with DACs. had to return a FiiO DAC because of that. had this connectivity problem with an Honor 7 phone and with my current Noki 6.1 Plus as well. Do you have any idea if this DAC is universally compliant? The problem is not about the DAC being universally compatible, but about the phone providing the correct implementation. Alas the problem with USB audio on Android is that there is no single implementation, but a variety of different implementations that do not allow for a product to “just work”, as it depends on the manufacturer to implement USB audio. That’s the problem with the removal of the 3.5 mm jack: you have no guarantee that your phone and your audio device will work when paired. So there is no way to know that the DAC will work for sure – you will have to try it out. I just got an USB C adapter from Apple since it was the easiest to get and seemed to have good measurements. Here s some info for anyone interested in getting it. 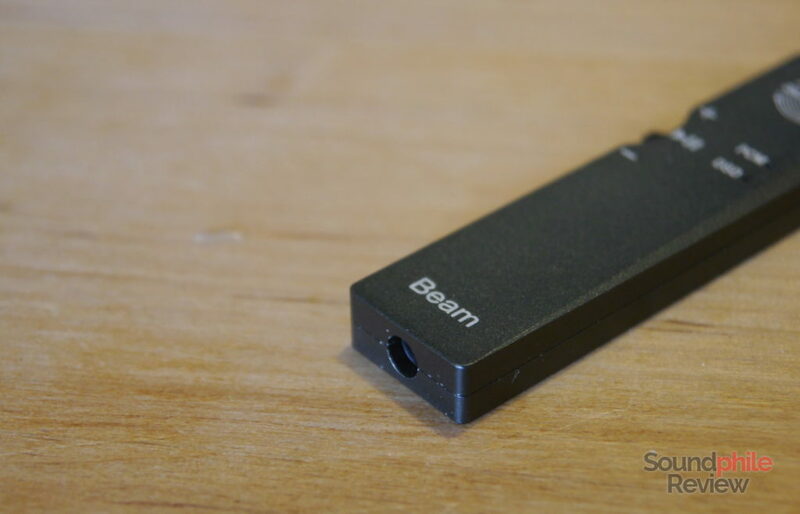 It has a standalone DAC, so you re not using the one in your Xperia. It is a very good one, though. I am so impressed with this little unit. 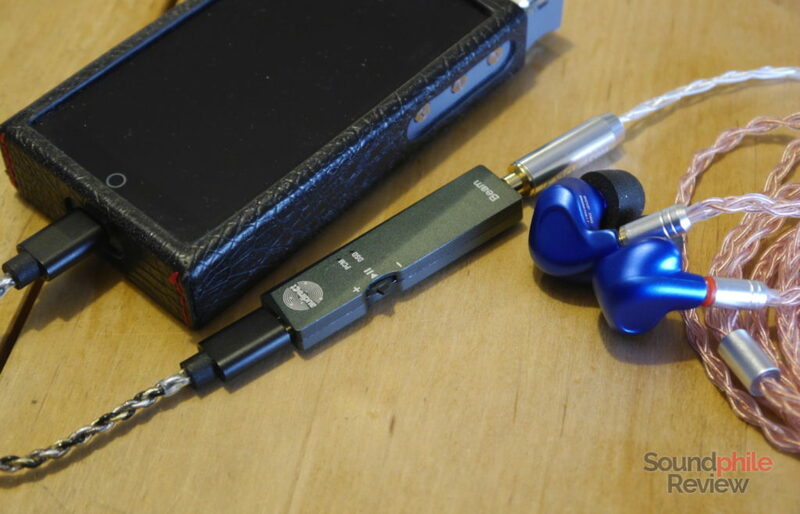 I use it with a headphone amplifier and the result is such engaging music. I bought a Meridian Explorer 2 because I thought it would be a decent upgrade, but the Audirect ended up trumping that DAC. Pretty amazing considering that is a well rated DAC, in the ballpark of Audioquest stuff. It was just more musical, the Explorer felt a little too clinical. I’d definitely get another one for work. So tiny and easy to use. I’ve only experienced issues with JRiver playing DSFs where it would skip every few seconds, and the onboard headphone amp is not enough to drive very hard.